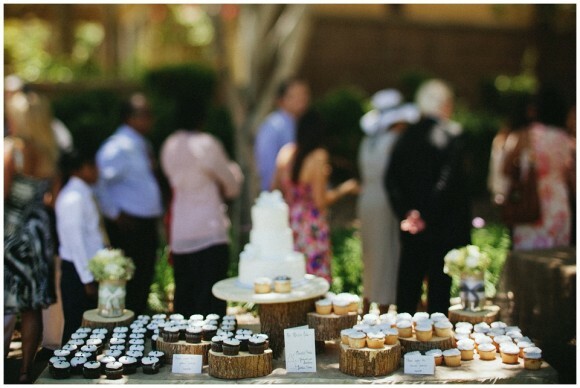 Remember our Cowboys and Lace event we did back in July with Perfect Wedding Guide? We had such a wonderful time working with our amazing vendors including Memory Lane Video who created this fun movie capturing all the details of our event. Thanks for watching! As many of you are aware, the Emmy’s aired live on ABC this past Sunday. And if you know us Scheme girls, you know that we love, love, love our fair share of TV. 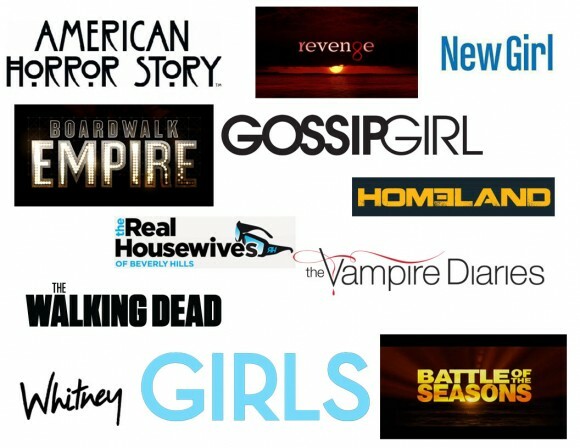 Shows ranging from comedy to drama to reality, we all have our different loves. Read on below to see which shows we are more than excited for to air this fall. Okay… I know after you read this, you are going to wonder how I have time to watch this much television. I must say… I am kind of an addict. One of my favorite pass-times is to watch TV, be it with my lovely boyfriend or alone to catch up on all my girlie epis. Thank goodness for DVRs because this is a lot of television to watch. Sometimes I let my DVR fill up with some of these shows and watch several episodes on a Friday night with a good glass of wine. 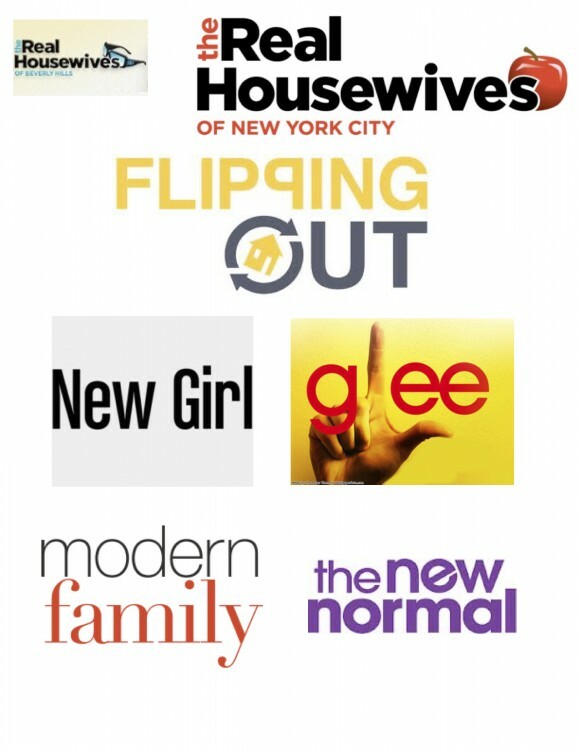 I can’t wait to get cozy on my couch this fall and watch these shows! It’s hard for me to become a huge fun of any show, but when I do I become addicted. This fall I will never miss an episode of Glee or New Girl. I’m in love with Zooey Deschanel as the New Girl. 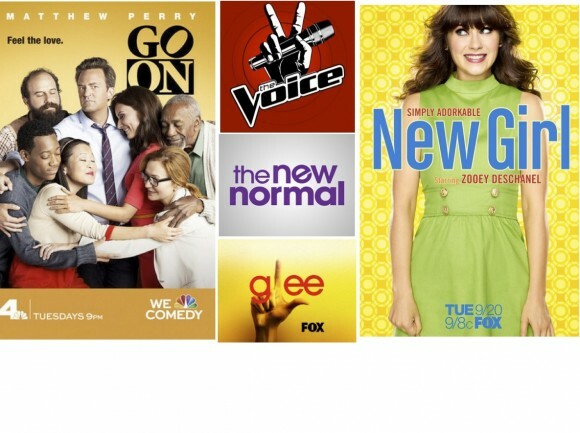 You can also find my DVR filled with some new upcoming shows like Go On and The New Normal. My heart will always be with Matthew Perry from his days as Chandler on Friends. The Voice is also a goody. I agree with Traci, thank goodness for DVR. Well, I am a Bravo girl at heart. So you know I’ll be tuning in to the Real Housewives of Beverly Hills and finishing up New York City. I can’t really fall in love with the Miami ladies, anyone else feel this way?! Jeff and Jenni on Flipping Out are always good for quality comedy and lovely home transformations. New Girl is definite must see TV. I’m a gLee fan so that’s on my DVR as well as The New Normal. What are some of your favorite shows that are premiering this fall? 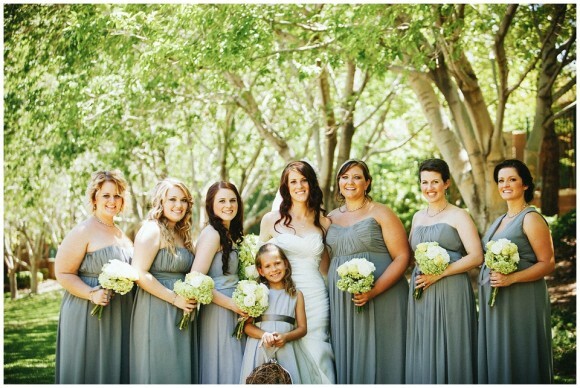 Andrea is a wedding photographer/art teacher/creative genius who planned her own Las Vegas outdoor wedding to Kenny with the most meaningful touches and personalization. At our first meeting, Andrea showed us pictures of her ceremony site, bridesmaids dresses and ideas. But not just pictures from a magazine or Pinterest. They were actual sketches she’d drawn of all aspects of her wedding. Amazing. 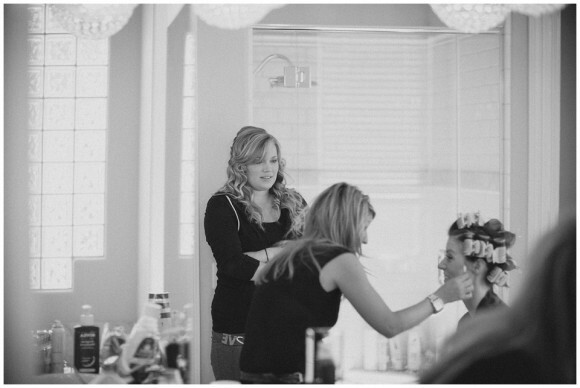 We worked with Andrea and Kenny as the Day of Coordinators for their wedding. 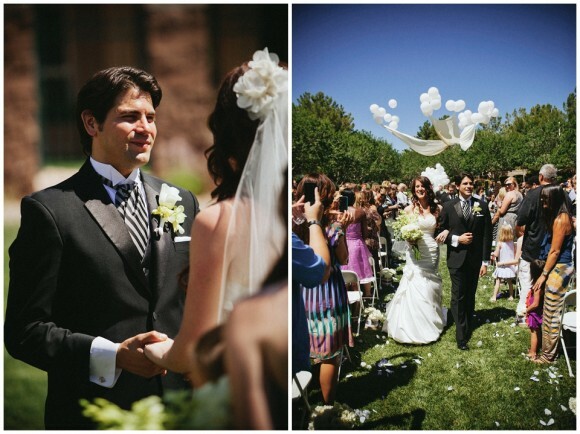 Every aspect of the wedding Andrea crafted or created herself. 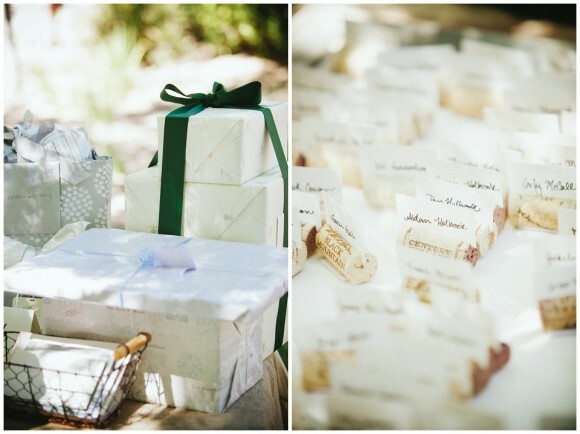 She sewed linens, created floral centerpieces, bridal party floral, stationery, favors, etc. One of our favorite ideas of hers was the Wishing Tree Aisle. She cut and strung tags to be hung in trees. As guests arrived, they wrote well wishes to Andrea & Kenny. This is the same path the entire bridal party walked to get to the ceremony…covered in well wishes from their nearest and dearest friends and family!